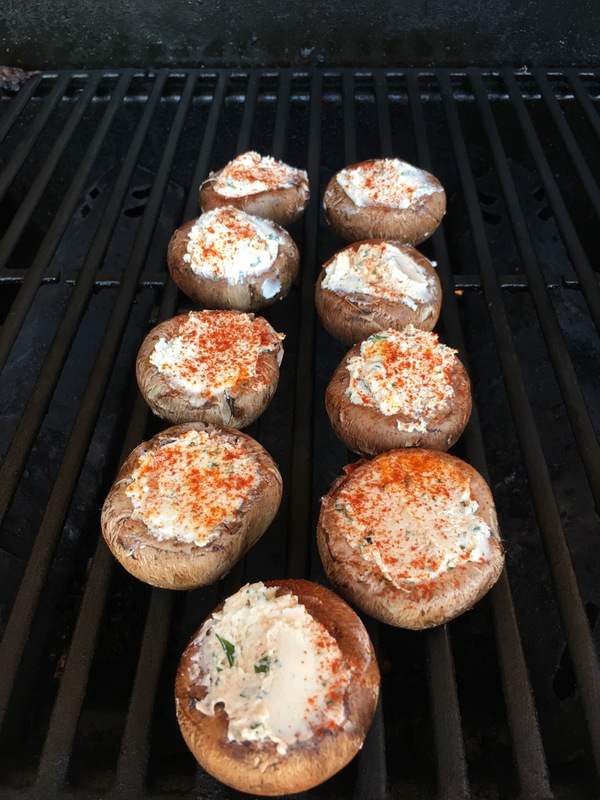 Goat cheese stuffed mushrooms – Hurried Home Chef! 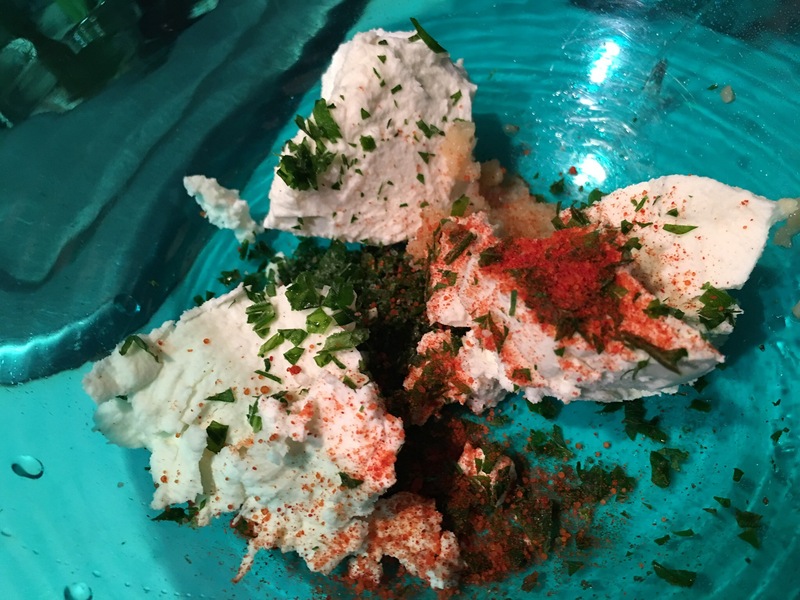 It’s hard not to make everything with cheese, but I had some goat cheese lying around and I just had to give it a go. Here I mixed in some garlic, parsley, chili pepper and salt. Then just stuff. I put on the grill and let it melt together. They were great! I drizzled with honey before serving, which went well with the garlic and heat of the chili.